Potentilla fruticosa is a spectacular long-flowering plant, which is strewed with yellow, white or salmon-pink flowers from May to October. Typical for this plant are its pinnate, five to seven-petaled flowers, which resemble the fingers of a human hand. This typical rock garden plant offers countless decoration possibilities and planting locations in the domestic garden. 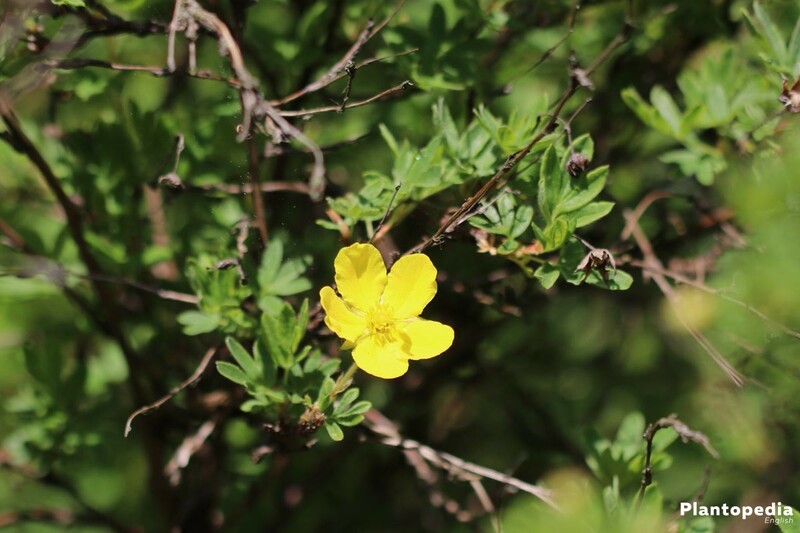 Originally from Eurasia and North America, shrubby cinquefoil grows as a summer green, upright, overhanging and compact dwarf shrub. Depending on the variety, it reaches a height of 30-120 cm. 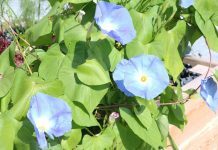 It is very robust, even the flowers are heat, sun and rain resistant. The long-flowering period is exceptional and makes shrubby cinquefoil a versatile garden plant. As a colorful hedge plant, its dense foliage protects against prying eyes, as ground-cover plant covers masterfully bald spots and it is, as a solitary plant, a decorative eye-catcher. Potentilla fruticosa is unpretentious and carefree and thanks to its modesty it is also a good beginner plant for new gardeners. Once grown, the care is mostly limited to watering and pruning. 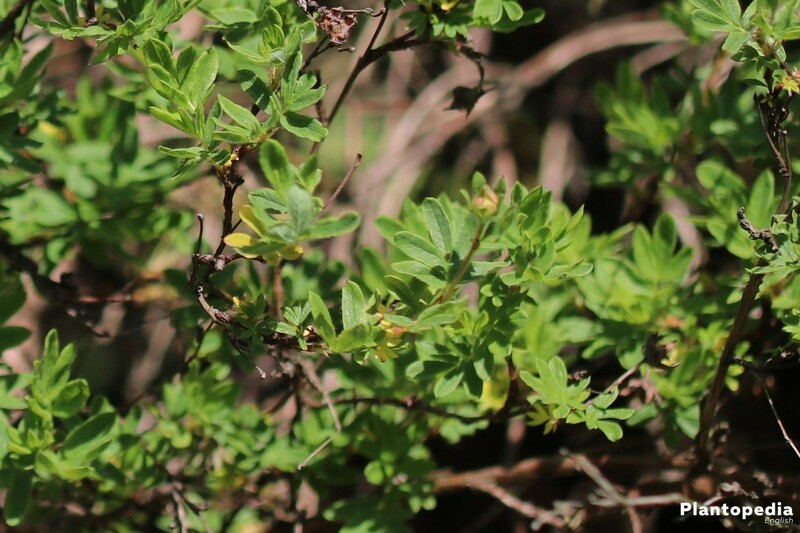 Shrubby cinquefoils are predominantly light-hungry plants. As a result, they usually thrive best in full sun locations. The more sun, the richer the abundance of flowers. This is especially for varieties with yellow and white flowers. Exceptions are red-flowered varieties, which feel more comfortable in the shade. Basically, Potentilla fruticosa can cope with any good and loose soil. 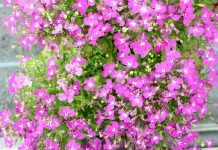 Nevertheless, it prefers fresh to moist gravelly or nutrient-poor and loose soils. These can be acid to slightly alkaline, with a pH between 5 and 7. A higher pH value would have adverse effects on flowering and could promote a so-called iron chlorosis (iron deficiency). Heavy and compacted soils should be made looser and more permeable by adding sand or grit and avoiding very sandy and very humid soils. 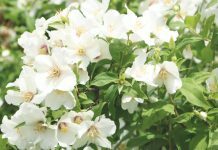 In the case of appropriate soil conditions, a plant neighborhood appears to the ornamental cherry tree, the European smoketree, weigela and other plants of the rose family, which are related to shrubby cinquefoil. At the right time of planting, it is important whether we are talking about bare-root plants and therefore plants without soil blocks or pots. While bare-roots plants can be planted from September to the end of April, there is a year-round planting time for plants in pots, as long as the soil is frost-free. Basically, spring is the best time for planting. 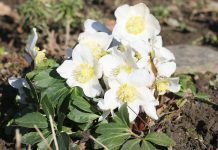 When being planted, shrubby cinquefoil is placed in the center and straight into the planting hole and filled with excavated soil all around. Finally, the plant should be so deep in the ground that the root collar ends with the top soil. If the soil in the planting area is very dry at the time of planting, the plant hole is filled only to three-quarters, then watered and finally filled with soil. In the case of ground-cover plants, about 5 plants per square meter are recommended and for hedge planting 3 specimens per linear meter. The water requirement of this plant is relatively high. This is why you should water abundantly after planting. Even after this, watering is not a negligible action, especially until shrubby cinquefoil has grown, as well as in aridity during particularly hot and dry summer days. The soil should never dry out and waterlogging should be avoided at all costs. With a mulch layer you can keep the moisture longer in the soil and thus protect it from excessive dehydration. 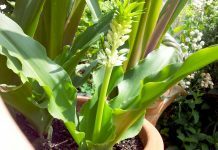 In terms of nutrient requirements this plant is very modest. An excess of nutrients could even hinder flowering. Therefore, you should rather fertilize moderately. 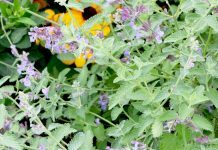 A small amount of fertilizer is usually provided in the spring, a slight nitrogenous fertilization is carried out between May and June, for example, in the form of horn shavings or nettle. A one-sided or excessive nitrogenous fertilizer should be avoided, so that the shoots can mature well until winter. Fertilization stops from July to prevent the plant from developing new shoots before winter. In order to prevent the shrub lose its leaves or age, it should be subjected to a regular pruning. 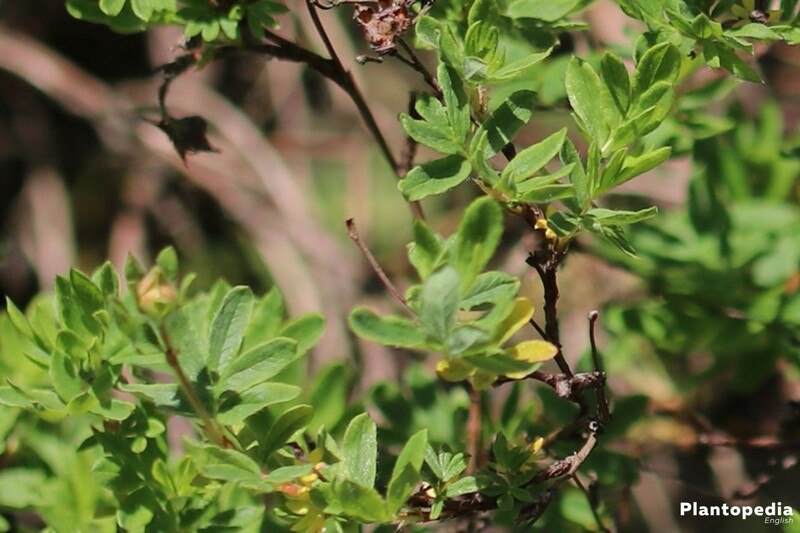 Corresponding pruning can take place both in the spring and in the autumn, whereby shrubby cinquefoil usually recovers faster after a pruning in spring. Only if its shape is maintained, the shoots can be shortened by a third after flowering. 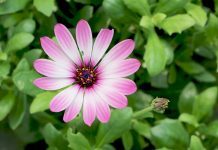 If necessary, it is also sufficient to remove old, diseased, dead and disturbing shoots from time to time, and the plant is practically pruned. In hedge plants it is easy to cut back into the old wood. 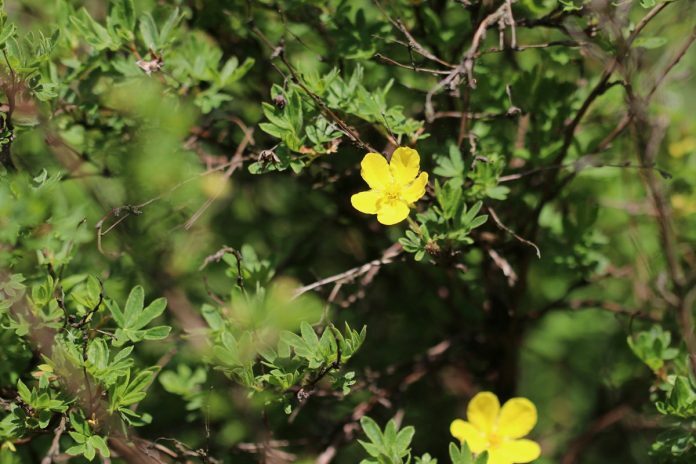 Since shrubby cinquefoil blooms on the one-year-old wood, a stronger pruning is possible in order to rejuvenate it. It can be cut back to 10 cm above the ground. It sprouts again, grows denser and lush, and its flowering joy is also preserved. Such a rejuvenation cut is useful every 2-3 years. After pruning, cuttings are treated with a wound closure method such as grafting wax. At the beginning of the cold season, the potted shrub Potentilla fruticosa drops its leaves, it sets a resting phase. Since it has a very good winter hardiness, it can do without any kind of winter protection. A type of propagation is sowing, which requires a little more practice, in contrast to the multiplication or division. The required seeds can be taken from the flowered shrubs in autumn. After flowering, the seed heads are formed, which contain numerous small hairy nutlets, the actual seeds. For a propagation by cuttings annual shoots are used which are taken from a healthy plant in late spring or summer. First, cut thick about 15-20 cm long cuttings. These cuttings are then cut to a length of 6-8 cm and cut to the lower end about 1 cm below a leaf. Afterwards, the lowest leaves are removed and the cuttings are inserted approximately halfway into the potting compost. Coconut coir is said to be particularly suitable for cultivation. The soil is slightly moistened and preferably placed in a light-permeable plastic bag, which should remain almost completely open at the top. The whole is placed in a sheltered place, so that it can not rain into the bag, because moisture on the leaves or wet soil can very quickly lead to mold growth. For this reason the cuttings should not be sprayed. Once they have formed sufficient roots, they can be planted. 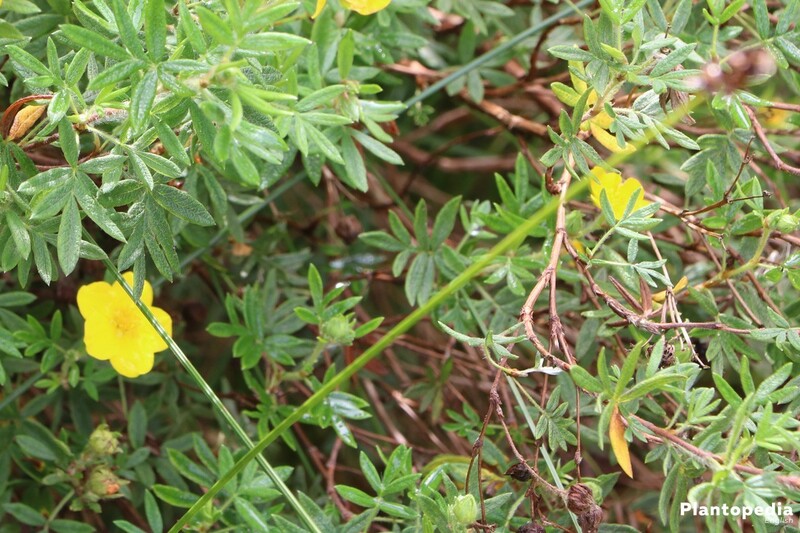 The leaf spot disease caused by fungi is relatively frequent in the shrubby cinquefoil. It manifests itself in reddish-yellow to brownish leaf spots and it is often the result of care mistakes. This can be caused by a too wet location, unfavorable soil conditions or insufficient airing. Infested leaves should be pinched off or cut off and disposed of in household waste and by no means on the compost. The cutting tool used for this purpose should then be disinfected in order to prevent transmission to other plants. It is not possible to fight with biological resources. Therefore, appropriate broadband fungicides must be used where necessary. In the case of a wide infestation, it is generally unavoidable to dispose completely the relevant plant. In order to prevent this disease, you should pay attention to the optimal location and soil conditions as well as sufficient planting distances to neighboring plants. The so-called iron chlorosis is a disturbed formation of chlorophyll. The reason for this is a lack of iron or a lime excess in the soil, which favors chlorosis. Above all young leaves and shoots turn yellow, the growth is clearly limited. The leaf veins remain green at first. Later, the entire color turns whitish-yellow. In order to determine the exact cause of chlorosis, a precise soil analysis is recommended. Sometimes it is sufficient to inject the plants with iron chelate compound from the specialty store, or to provide a slightly acidic pH value of the soil by applying humus. In the case of powdery and downy mildew, it is a fungal attack, which shows itself on a powdery graying veil covering the plant. While downy mildew is first seen on the leaves and later on the shoots and buds, the powdery mildew attacks the leaf undersurface. Responsible for a mildew infestation are in most cases unfavorable location conditions. Possibly the plants are too tight, the exposure is insufficient or draught and strong temperature changes are responsible. Mildew can only be effectively combated with appropriate biological fungicides. Preventively, you should, if necessary, revert to mildew-resistant varieties or pay attention to optimal location conditions. 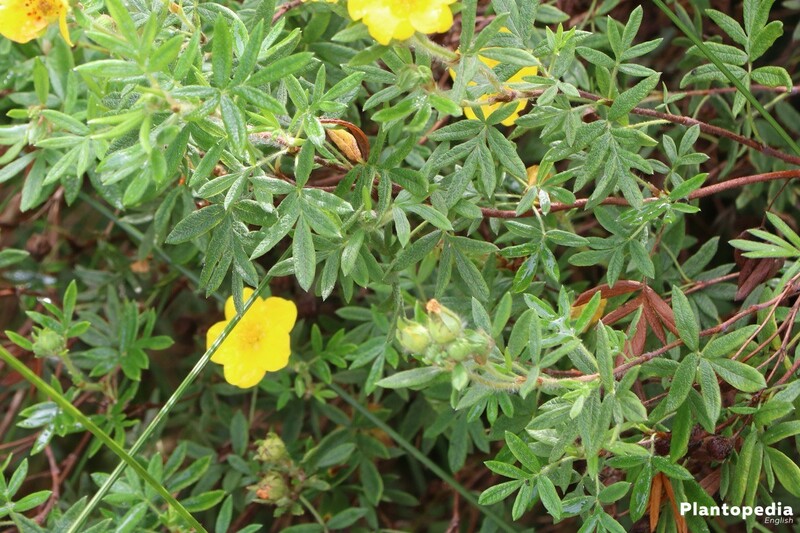 If shrubby cinquefoil has rolled up, deformed or curled leaves, they may be signs of aphid infection. Usually the small black, yellow or green lices sit on the leaf bottoms and the shoot tips. In order to combat or minimize at least one attack, infested plants can first be sprayed with water. If this is not sufficient, suitable insecticides are available at the specialty stores.